18 Ways To Get Paid To Write Online: One Gig Pays Up To $2,000! 18 Places That Will Pay You To Write Online: One Pays Up To $2,000! If you’re interested in ways to get paid to write online, you are in the right place! I have been a freelance writer, web designer and SEO for more than 3 1/2 years and have loved it. 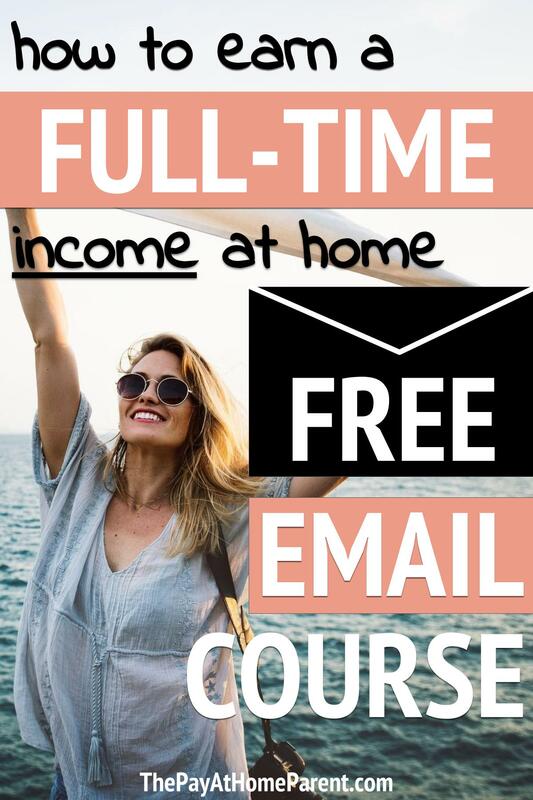 I want to show you exactly how you too can make extra money or possibly even replace your full-time income as a freelancer from home! Who Can Get Paid To Write Online? How Will You Get Paid To Write Online? First, let’s quickly talk about who is the right fit for writing as a side hustle. When someone is selling a writing course, service or product related to learning about writing, they will typically tell you that anyone can write. But this simply is not true. Not everyone can hold a work from home job or start a home business or a small business. There are a few requirements that should be met before you decide that writing as a way to make extra money is really for you. Yes, it’s okay to bend the rules and requirements a little, because hey, it’s freelancing. But there are a few things that are pretty important to at least learn to accept if you hope to make money as a writer. So here are the “requirements” for getting paid to write. If you love writing (or at least enjoy it). If you can follow instructions. If you can adapt to different voices and subjects. If you have a laptop or computer at home (or access to one). If you are driven to excel at work. If you write for an audience and not for yourself. If you are willing to learn and grow as a writer. If some of these don’t sound quite like you, that’s okay. It’s still possible for you to get paid to write online. You will, however, need to have a willingness to learn and grow your writing skills in order to succeed at freelance writing. So, what are these mysterious ways that freelancers get paid to write online? Let’s get right down to business and talk about each writing opportunity. One of the hardest but most rewarding ways to get paid to write about anything is to start your own blog. I will not sugarcoat this task as it has proven to be difficult for the majority of new bloggers. But the rewards of blogging are many. For example, as a blogger, you can get paid to write lists, to write about your life and ultimately to write about what you love! But it’s not as easy as it sounds. For every bit of effort you put into writing a blog post, you need to put the same amount of effort into networking and growing your blog. The readers will not come flooding in without a great blogging strategy! So in all reality, you can get paid to write about anything, but that “anything” needs to resound with your target audience. You may feel that starting your own blog is not the best idea to make money. You can also get paid to write articles at home without a blog. Perhaps starting a hobby blog for writing experience is a possibility for you. Think of this hobby blog as an online portfolio that you can show companies to prove your experience. A hobby blog does not have to be business-like or professional, but you can use it to practice perfecting your writing skills. But on to the ways to make money writing articles. There are numerous legitimate publications that will pay you to write articles from home. There are lists upon lists of sites that accept paid contributions. Just be sure to keep in mind that a site can stop accepting submissions at any time. Try to reach out to an editor before writing a full post to confirm if they are still accepting paid articles. Starting a freelance writing business is your best option to write and get paid instantly. As a business owner, you can set your own terms and conditions. Yes, you will need to provide at least a preview of your written work to show your worth to clients, but in time, you can require payment at the time of article submission, therefore getting paid instantly. Starting a freelance writing service is much like starting a blog. In fact, you may even include a blog on your website that gives valuable information that pertains to your writing niche. Always seek to provide value and show your talents before expecting a client to purchase your services. Here is a list of places that you can list your services to write and get paid to write online. These websites are set up to filter in leads while you list your writing services or select existing tasks as they come available. Keep in mind that using an established platform to sell your services does not guarantee sales and a portion of your earnings will go to the platform you sell through. Did you know you could get paid to write short stories for various publications, both online and in print? Perhaps writing professional articles is not your forte but writing short stories sounds far more intriguing. If that is the case, then you will want to consider the following magazines that pay for short stories. Clarkesworld (10¢ per word for the first 5000 words, 8¢ for each word over 5000) – Science fiction and fantasy. Asimovs’ Science Fiction (8-10 cents per word for short stories up to 7,500 words, and 8 cents for each word over 7,500) – Science fiction, borderline fantasy, slipstream, and surreal fiction. The Atlantic (rate not listed) – fiction and nonfiction. You can sell short stories for money to these publications or you can consider learning how to sell short stories on Amazon. Learning to sell on Amazon can be tricky. It requires a lot of proper SEO and keywording help, patience and of course sharing your profit with Amazon. But the successful stories that take off can be very rewarding. Last, but not least, you could even get paid to write poetry. Yes, some publications pay you to write poems! I’ve never been able to write poetry, but that just means it’s not my forte. You could be a good fit for this task. Three Penny Review ($200 per poem of 100 lines maximum) – a literary magazine. VGR ($200 per poem, $1,000 for 5 or more poems) – all types and lengths of poetry. Ultimately, the choice is up to you. What type of writing do you enjoy most or have the most experience and talent in? Sometimes it just takes time and practice in order to write the perfect piece. If you submit your articles, stories or poems online and they are not accepted, don’t get discouraged. Just understand that so many others submit their pieces at the same time. Simply remember that writing unique pieces that are interesting, well-written and professional will further your chances to get paid to write online. Freelance writing comes in many shapes and sizes, but at the end of the day, you decide what to write. If you start a blog, you have the ultimate say of what you will write and how you will write it. There is an audience for all kinds of writing topics and themes. You just need to find your voice and your audience! Thank you so much for such a helpful article!!! I need to start hustling after the 1st of the year and will be referring back to it a bunch!!! You’re welcome! I hope that you’re able to make a bunch of money writing in the new year! I know I will, though I’m a newbie.I’m really grateful for your information.